We're more than half way through 2016 and we've seen some great bathroom trends evolve for the year. The popularity of the color gray continues on both the inside and outside of the home. Modern looks with touches of accent colors, glass tiles and wood seem to be very popular. And, people are increasingly finding fashionable ways to gain privacy in their bathrooms. From privacy dividers made of acrylic block that separate the toilet from the sink area to decorative glass windows, stylish solutions are making a big impact in 2016 bathroom trends. "We sometimes refer to decorative glass windows as 'art for the walls' because they're such a stunning addition to a room," says Roger Murphy, president and CEO of Hy-Lite, a U.S. Block Windows Company. 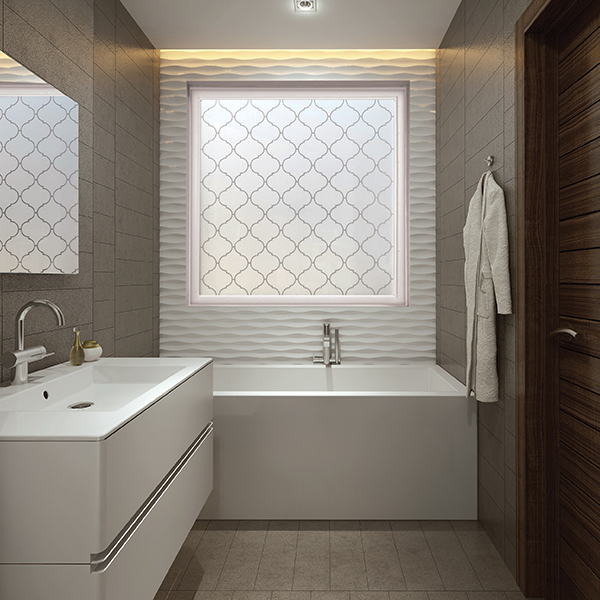 "These obscure windows can be seen as both a necessity item for a bathroom --- to protect privacy --- and as a luxury item because they achieve their goal with so much pizzazz. "Best of all, these windows are available at extremely reasonable prices. An upgrade to a privacy window definitely won't blow any budgets!"